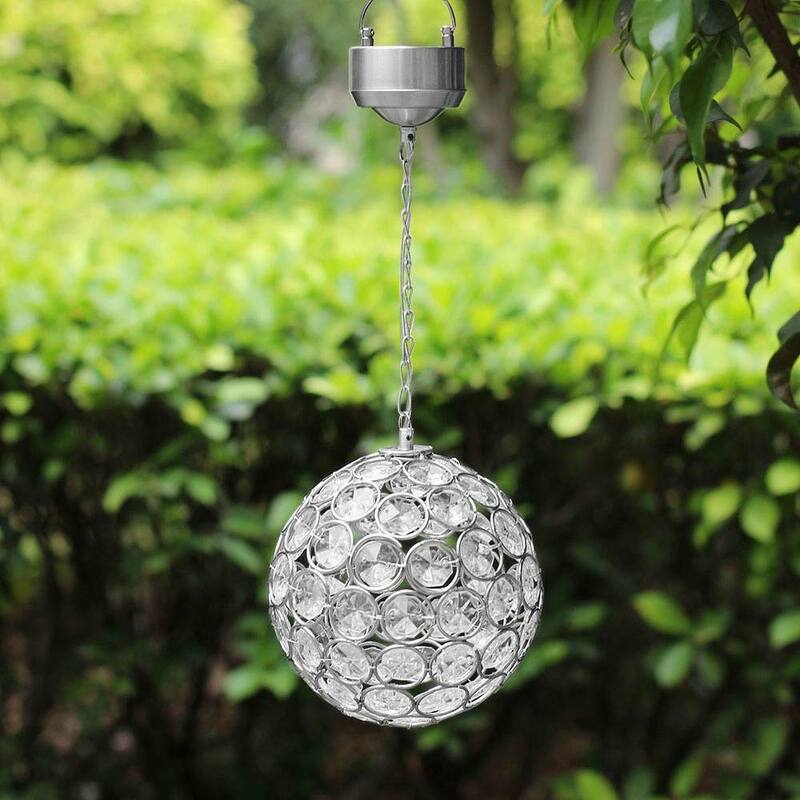 Grace your garden with this beautiful Aria Hanging Crystal Ball Light. 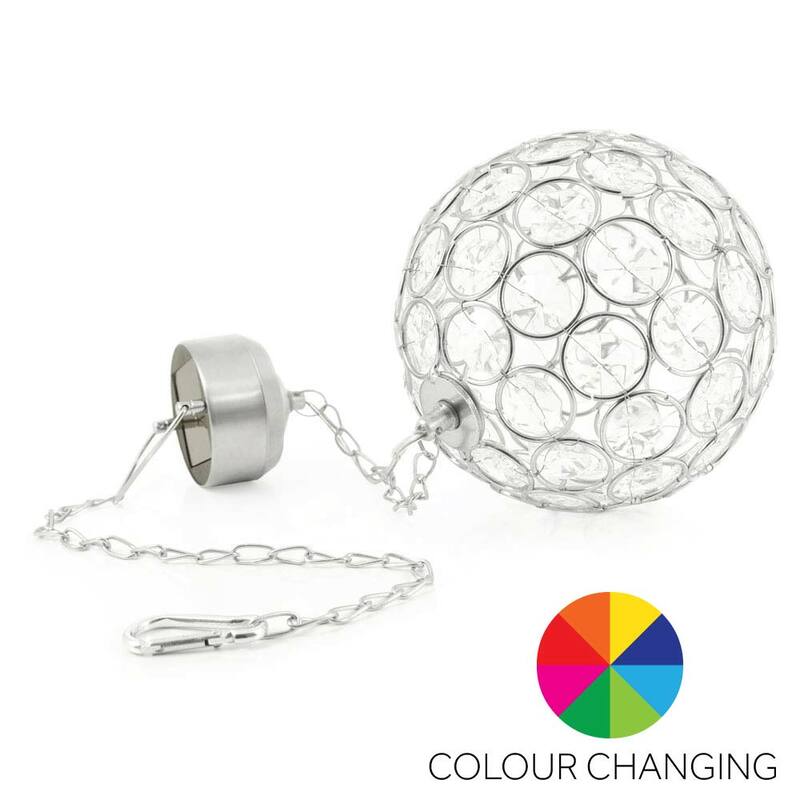 This unique colour changing feature light has been designed for 3 season use (Spring, Summer and Autumn) and uses an amorphous solar panel which will enable it to charge in lightly shaded areas. It will be the talk of any garden party or BBQ. 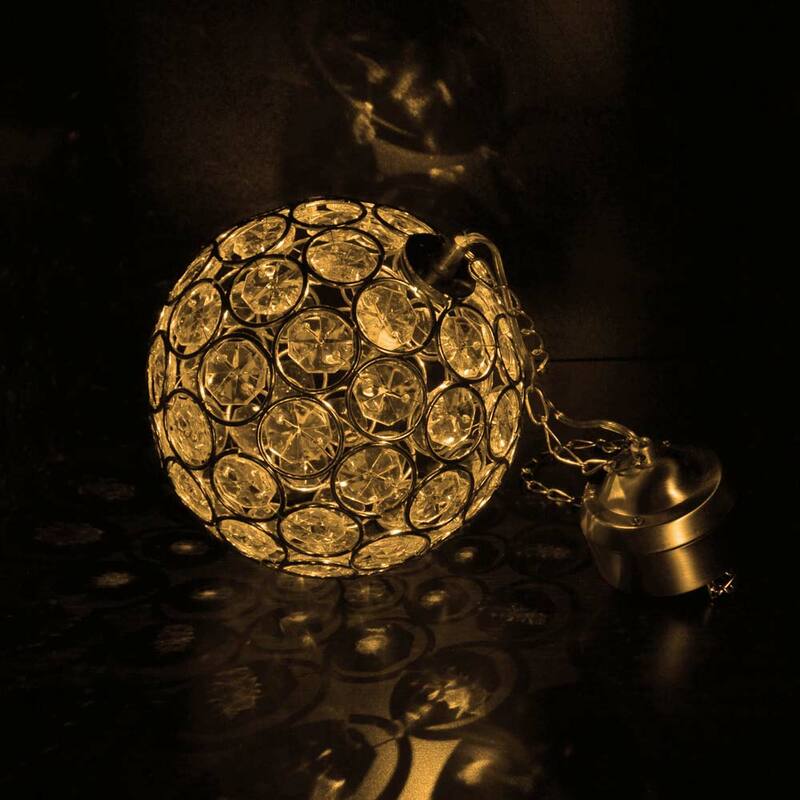 I've purchased 2 of these crystal ball lights. They look really pretty in the garden. Only down side is, the winter gloom is not allowing them to charge properly, and therefore they're only lasting a few hours. This is to be expected at this time of the year. Can't wait until the summer. My third Aria light from you,they are beautiful! I bought 4 of these. They look lovely in the dark. Very pretty and change colours. I am going to purchase more. I have purchased seven of these lights now they look lovely in the dark around my garden. They were well packaged and delivery as always is excellent from the solar centre. Can theses be switched to just the white option it do they have to colour change? No, these are colour change only. A warm white version is available here. 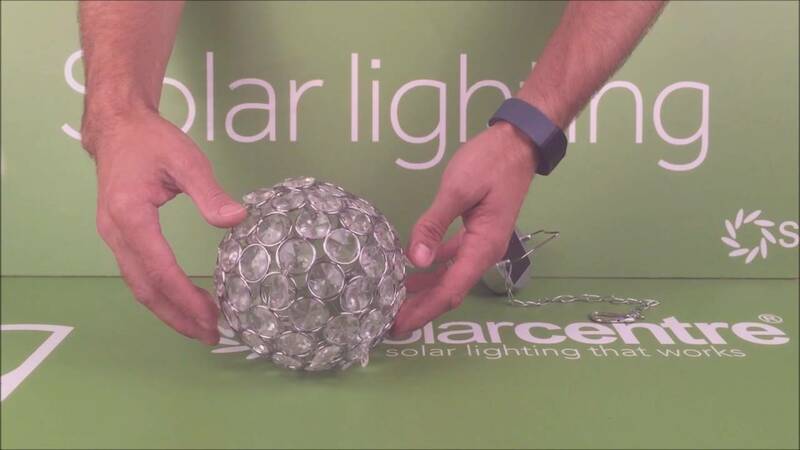 If the light is powered by solar energy, what are the batteries for? I want a light that will sustain itself consistently without the need for non-renewable energy sources. All solar lights have batteries. The batteries store the energy generated by the solar panel by day so the light can run at night.